Out-of-print in the US! Digitally remastered collection of Rick's biggest hits, spanning the years 1957-72. 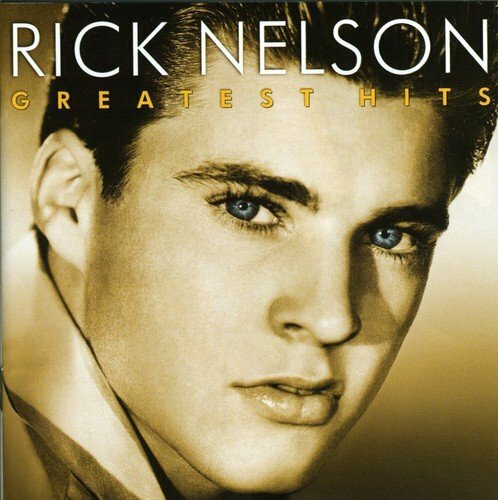 From his early teen-idol days when he was known as Ricky Nelson (on the Ozzie And Harriet Show) through his more accomplished '60s recordings (when he switched to the more dignified and mature Rick Nelson) up to his early '70s Country Rock hits with his Stone Canyon Band, every track here is a bona fide hit. 20 tracks including 'I'm Walking', 'Travelin' Man', 'Hello Mary Lou', 'Poor Little Fool', 'Lonesome Town' and the autobiographical 'Garden Party. EMI.